élégance® CT-X11 is the latest and innovative Blood Glucose Monitoring System from Convergent Technologies with new and stylish design. élégance® CT-X11 is very user friendly as the result can be obtained in three easy steps. It also makes you free from the complications of coding. It is having advanced amperometric biosensor technology and AST testing. 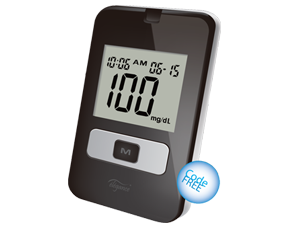 It is also equipped with diabetes monitoring software, a big screen display and memory capacity of 120 test results.